A new Remote Healing Session Program will be offered soon, to attain to greater freedom in thinking, feeling, and will so that you can center all power toward deepening within, merging in Oneness, and increasing in light vibration to meet the momentous times in full conscious awareness. 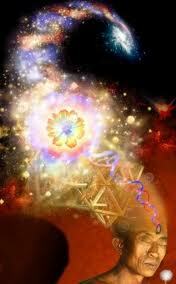 The higher vibrations are penetrating this realm now, and they are seeking embodiment in us! This program is very different from ones before, and will include powerful audio meditations developed by a master teacher, and other specific processes to lead you progressively into deeper states of being. It promises to be most transformative and enlightening! Tentative timing is for end of August or early September. Timing may change depending on many factors coming together. I have been in deepest contemplation over the last months following the seeding of the spiritual creation, seeking guidance on how best to embody the consciousness necessary to move through the portal of higher light opening up in 2012 and into that potential future. It has been a time of tremendous challenge and personal transformation, and through this, it’s become increasingly clear that the first step is to attain to deepest freedom, and all will follow quickly from there. The higher vibrations approaching us at present are Divine Intelligence that will guide all who are open toward ascended consciousness. We become open through our level of inner freedom. Below is a contemplation to work with, to start connecting to the tremendous power of consciousness that can flow through illumined thinking, feeling, and willing that is inwardly free. To get a pdf version of the contemplation for printing out, click here. Feel free to send it to a friend! Your conscious mind is the differentiated self, and is not the direct light until you make it so…You make it so by clearing the distortions to reality and the enmeshment in illusion…and by deepening into the consciousness of the Higher Self. Higher is not up in some nebulous heaven; heaven is non-local—it is the consciousness of the One…of Source…the Creator of All…God. The Kingdom is in God consciousness, which is in you. Higher is deeper within…purer light and higher vibratory rate…ever higher vibratory rate until you are the key to the heavenly Kingdom…and you slip into that reality. You make the Oneness conscious by illuminating all automatic or programmed thinking, feeling, and willing, and making it free…You free thinking, feeling, and willing by cultivating ever greater deliberate conscious choice that leads you deeper into the light…into illumined consciousness…and deeper into freedom…moving focus away from the differentiated self, and thus moving away from servitude to any differentiated selves. In Feeling you bring illumination when you seek to make holy the name of the One in all that you are…”Our Father Who Art in Heaven, Hallowed Be Thy Name”…Commanding holiness means you commit to making it so in life…in every moment and in every relationship. Heaven is in my most holy chamber of the Sacred Heart that magnetically draws me to ever greater states of wholeness, unspeakable peace, and divine intuition…expanding the power of my Heart Field to ensoul the world. In Thinking you bring illumination when you seek the Kingdom in all perception and conception of all aspects of the world in which you live. Seeking the Kingdom is seeking the revelation of spirit in everything. You uncover the Kingdom…it is always there, always has been and will be. You are the key that opens the door to spirit revelation…through your deliberate commitment to tenacious seeking…And in that seeking you go deeper within, expanded in consciousness, and higher in vibration. You are the light and the light is you…and the light is the Key and the Way…. Thy Kingdom has infinite majesty, beauty, and potential according to my ability to conceive that emerges on the intensity of my sustained vibratory light, magnet to divine Imagination. In Willing you bring illumination when you surrender desire for a personal differentiated life and devote all attention and intention to being One with the Father in Will and Purpose. In surrendering personal will you open to Higher Will and Wisdom of the deeper self that abides in Oneness. Where Heaven and Earth meet is within my being surrendered to the Father who has dominion over Consciousness, and the Mother who lives in the wisdom-will Substance of Creation. Within truth-filled consciousness and wisdom-imbued will there incarnates the living power of love in freedom—the Christ in me that is devoted to the Will of God. By this power in me, I conceive and receive the Kingdom and thereby merge macrocosm and microscosm, becoming the spiritual creation. I am the creative light that shines in this realm, and this light is within the depth of being. 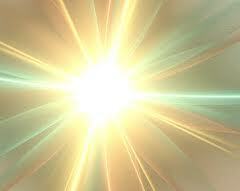 In deepening being, the light in me blazons the path to the spiritual creation for all of humanity. Each of the three statements in the first part of the Lord’s Prayer are worthy of contemplation over several days. When you contemplate for days on a single imagination, it takes root in the subconscious mind, where it can override past errors in programming and quicken emerging wisdom streams. The remainder of the Lord’s prayer leads to the powers to overcome the traps and temptations of the world, so that it no longer has power over you. The first part of the prayer is an overlighting objective of being in feeling, thinking, and willing, and the second part gives the concrete and necessary steps to achieve that objective that can be deepened infinitely. Be sure to join us for a very powerful Remote Healing Session Program (tentatively starting September 3rd 2012).